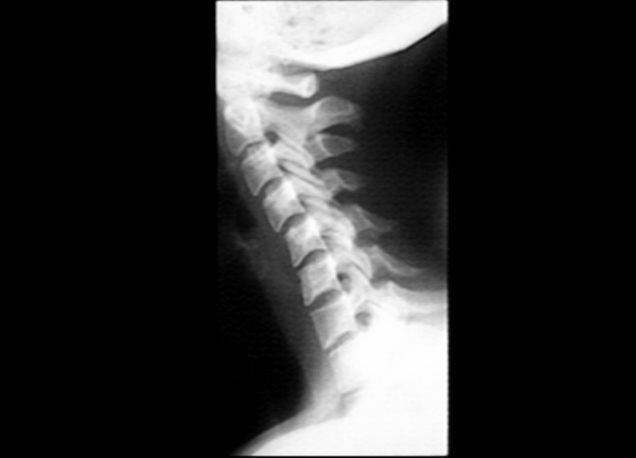 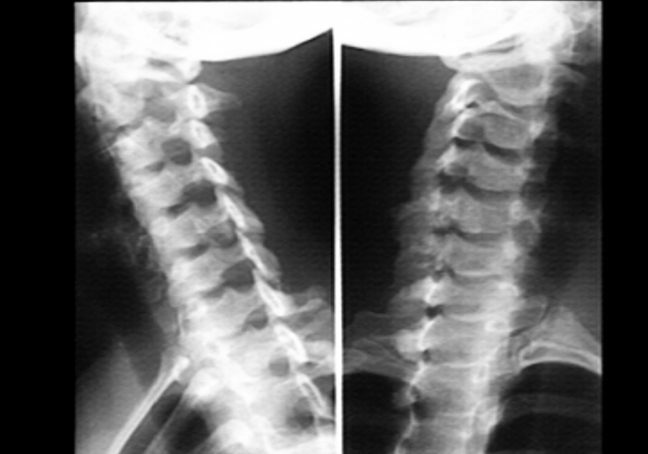 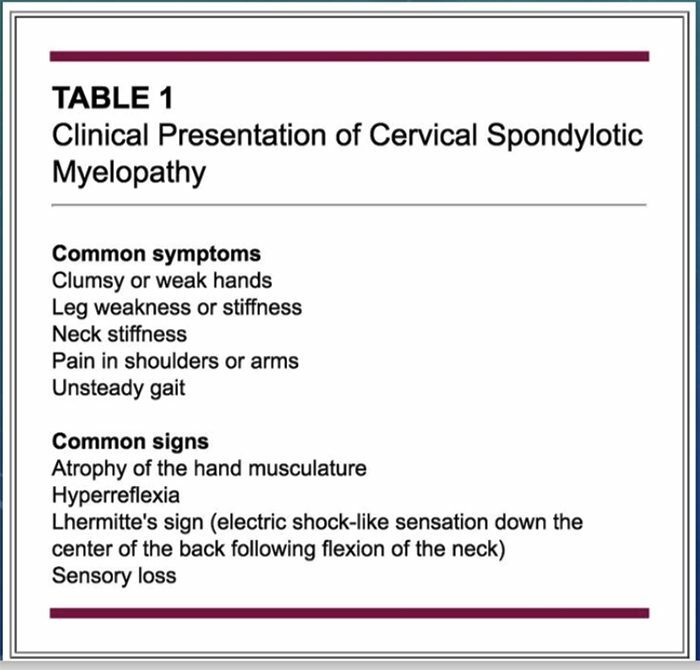 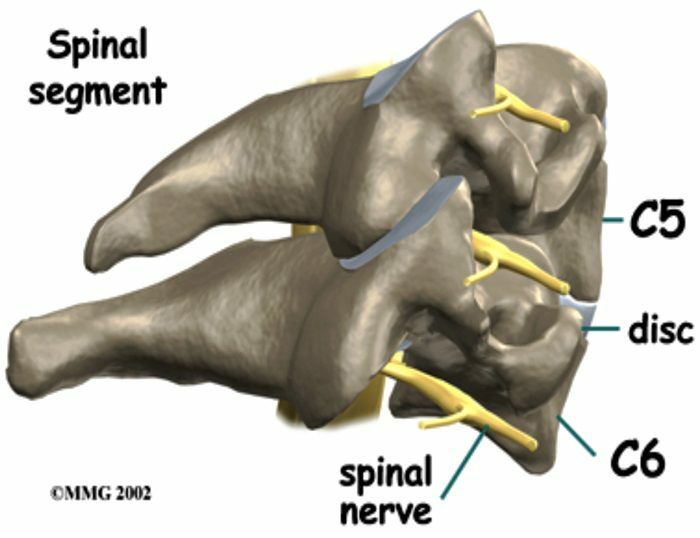 Cervical Spine - This nerve root is named according to the Lower spinal segment that the nerve root runs between. 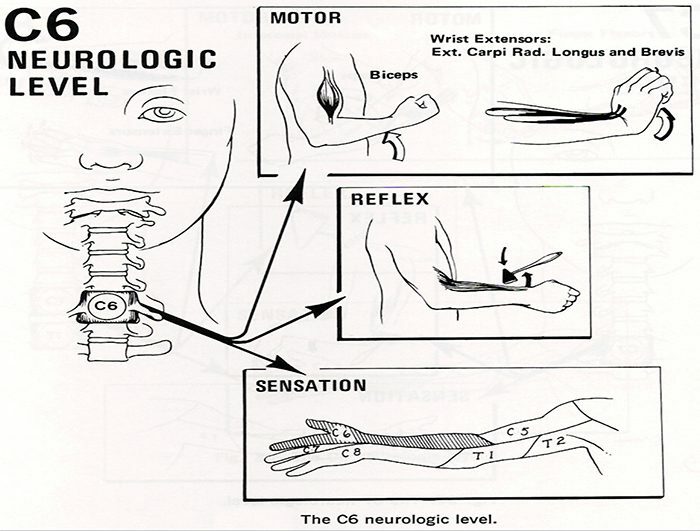 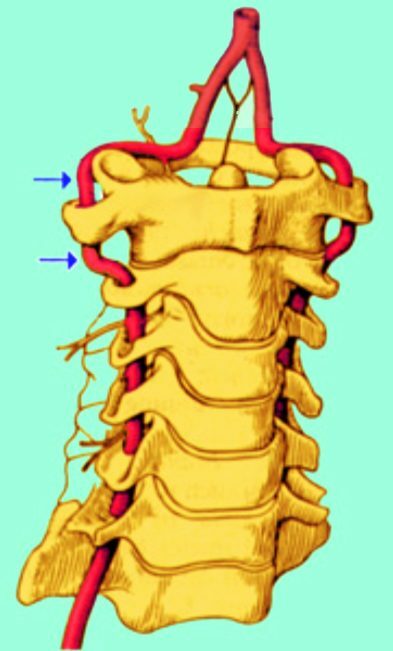 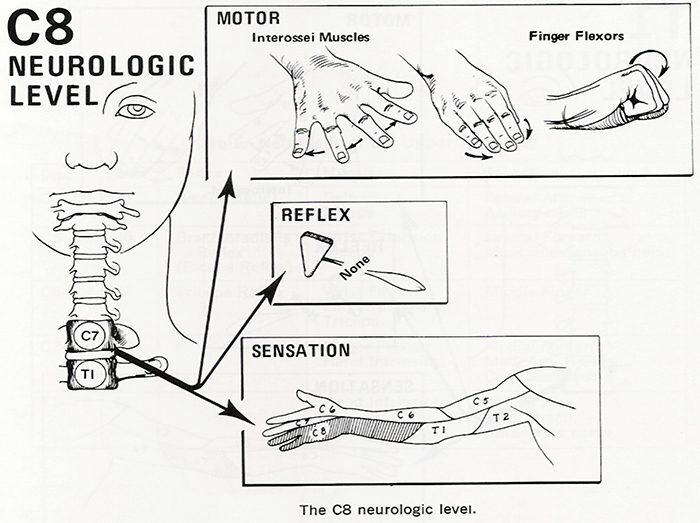 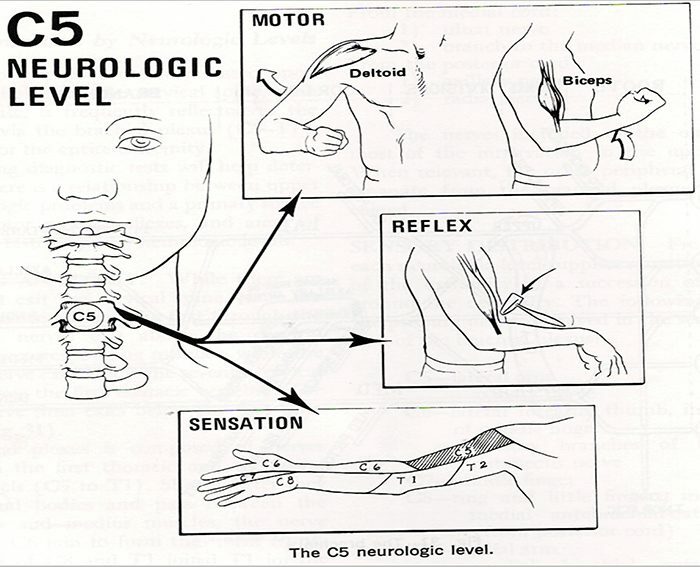 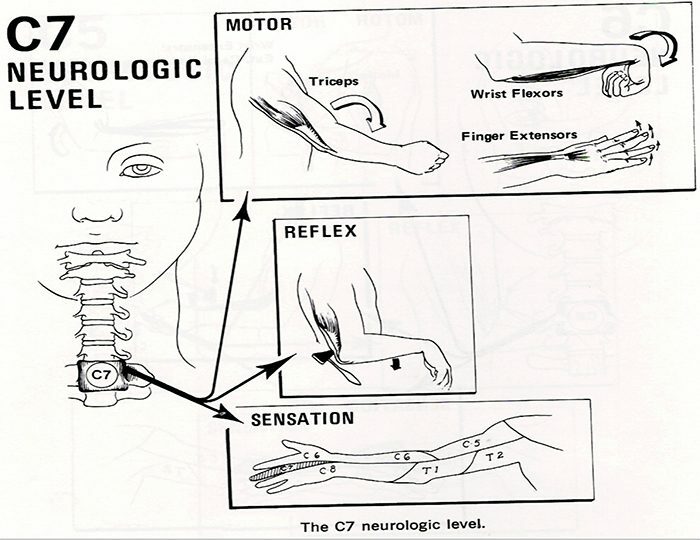 Example - The nerve at C5-C6 level is called the C6 nerve root. 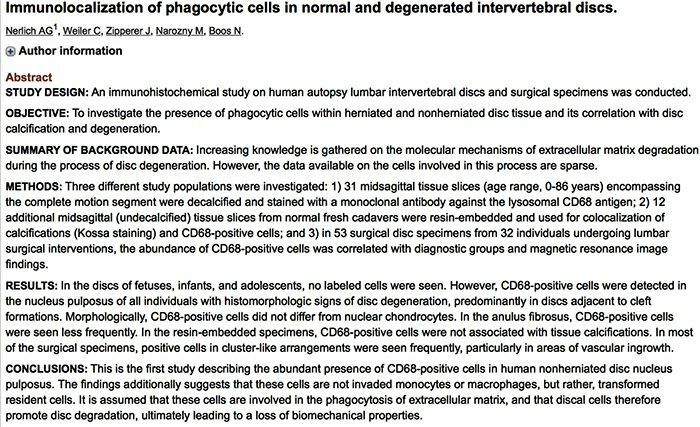 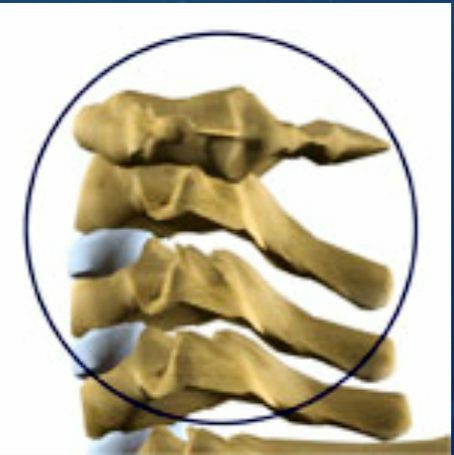 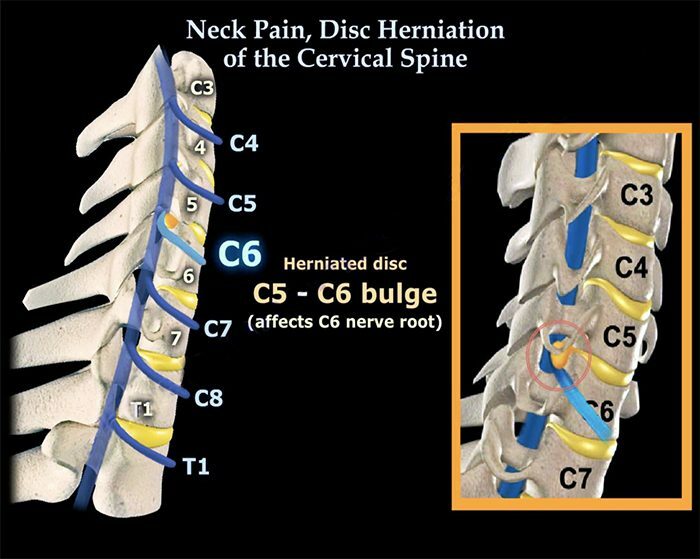 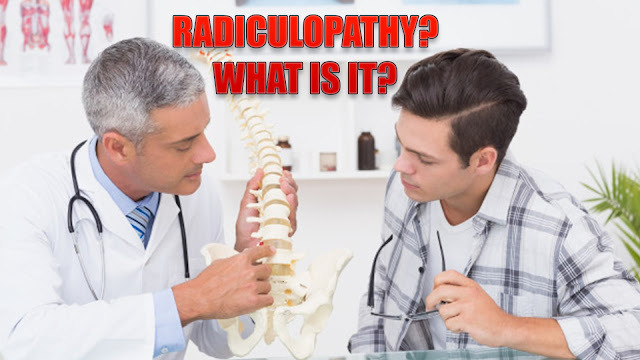 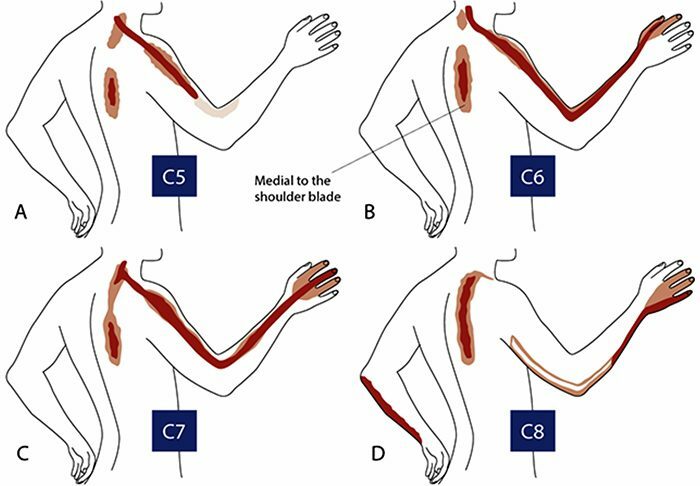 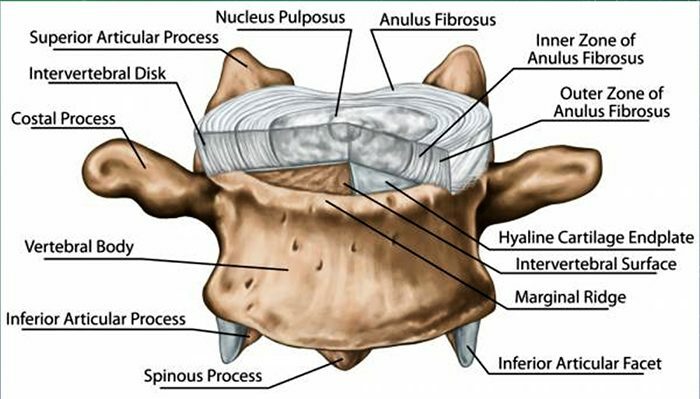 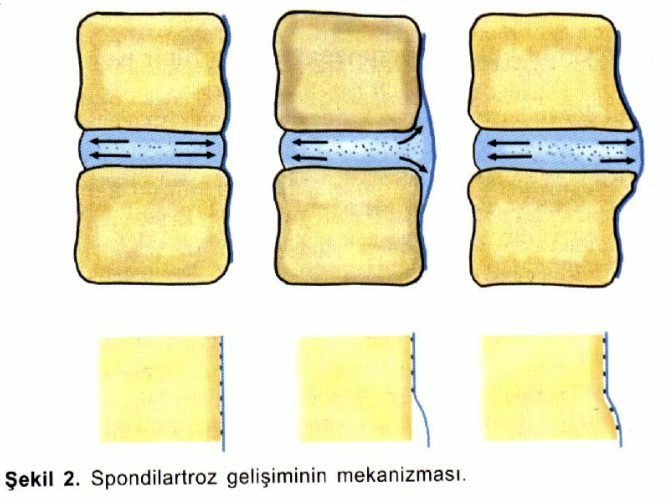 It's named like this because as it exits the spine, it passes Over the C6 pedicle (a piece of bone part of the spinal segment). 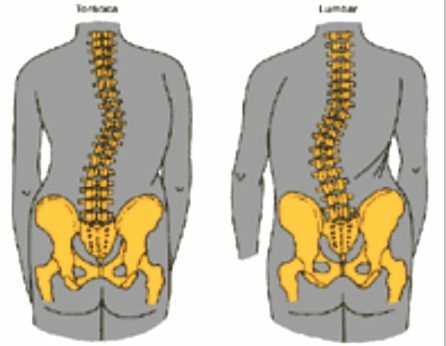 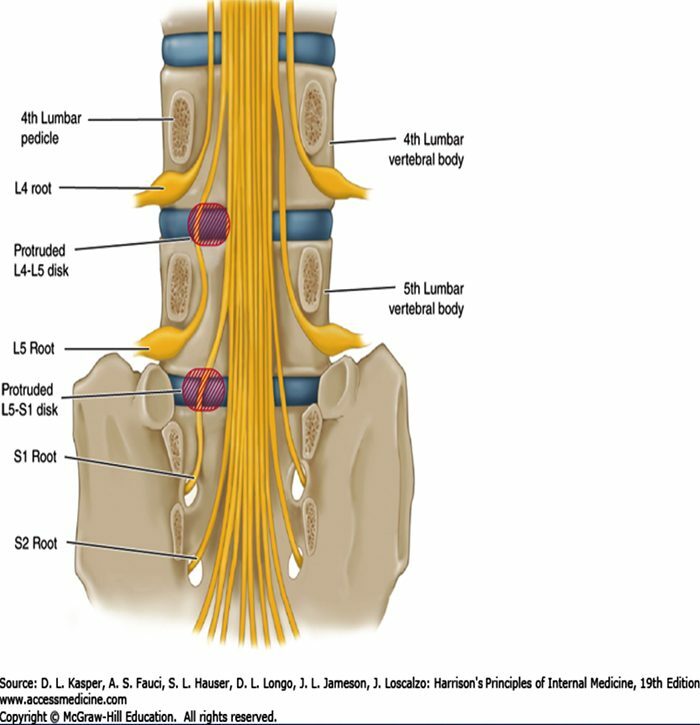 Lumbar Spine - These nerve roots are named according to the Upper spinal segment that the nerve runs between. 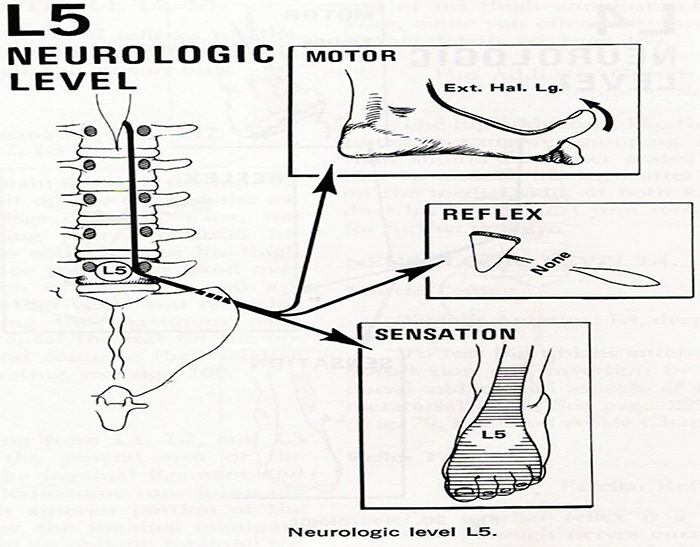 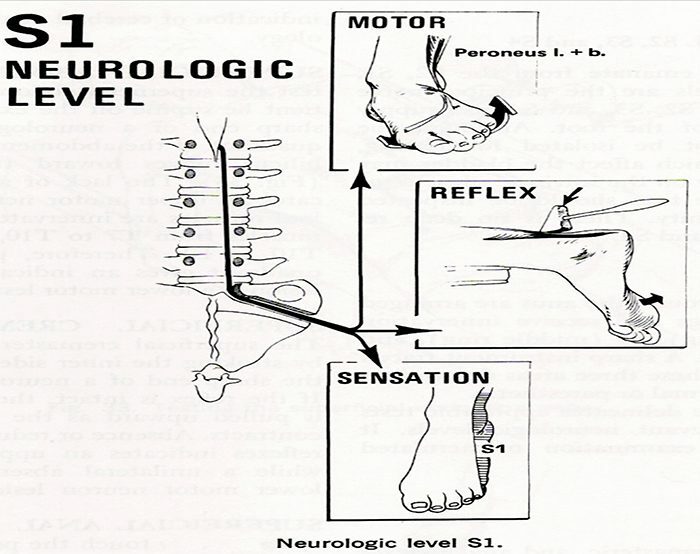 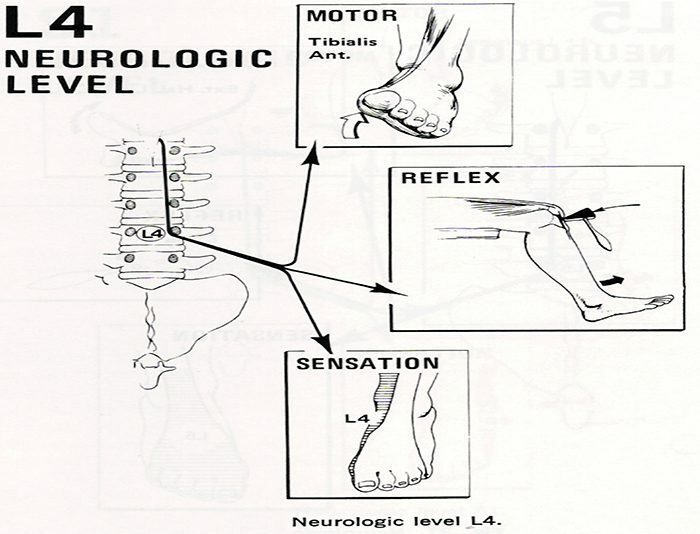 Example - The nerve at L4-L5 level is called the L4 nerve root. 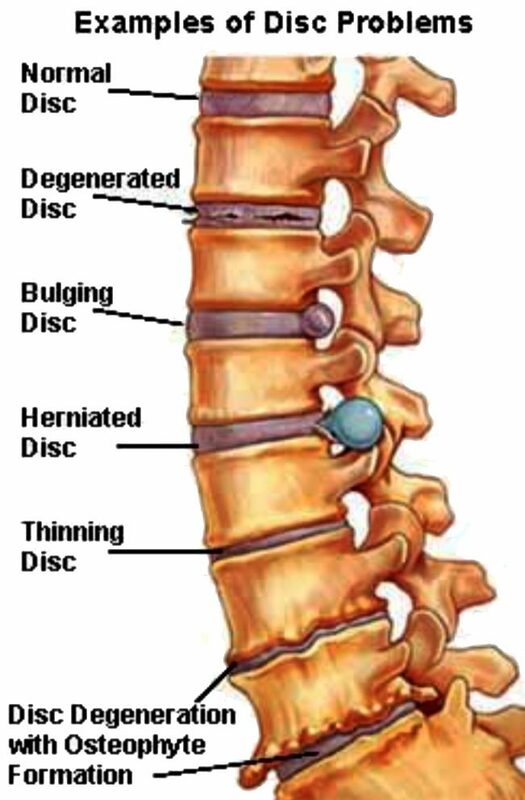 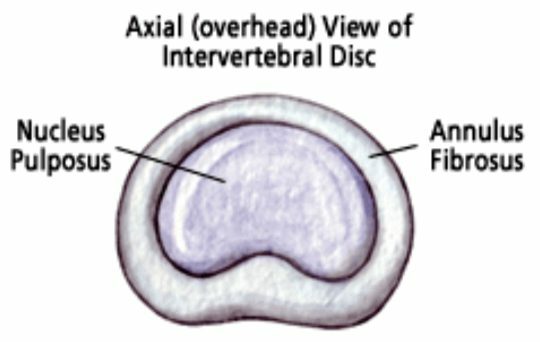 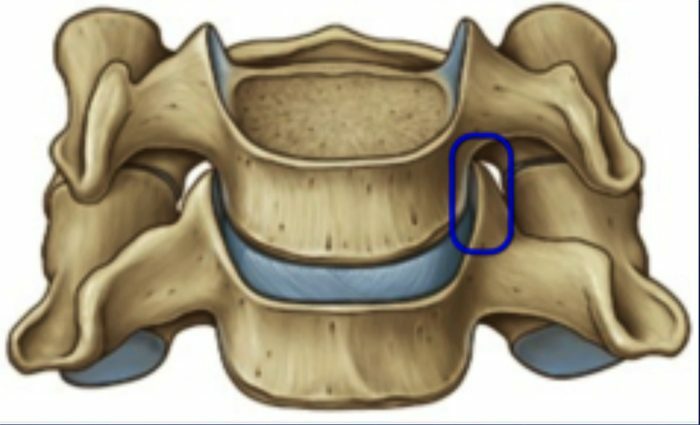 Traversing Nerve Root - This nerve root goes across the disc and exits the spine at the level below. 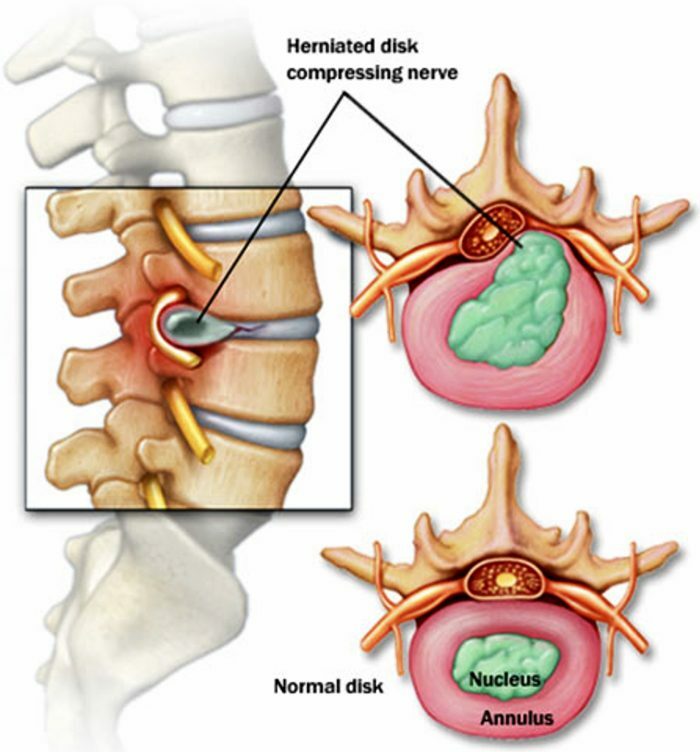 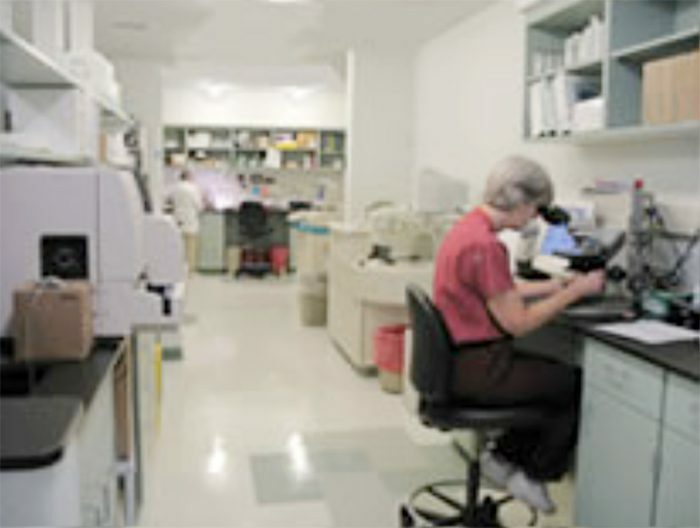 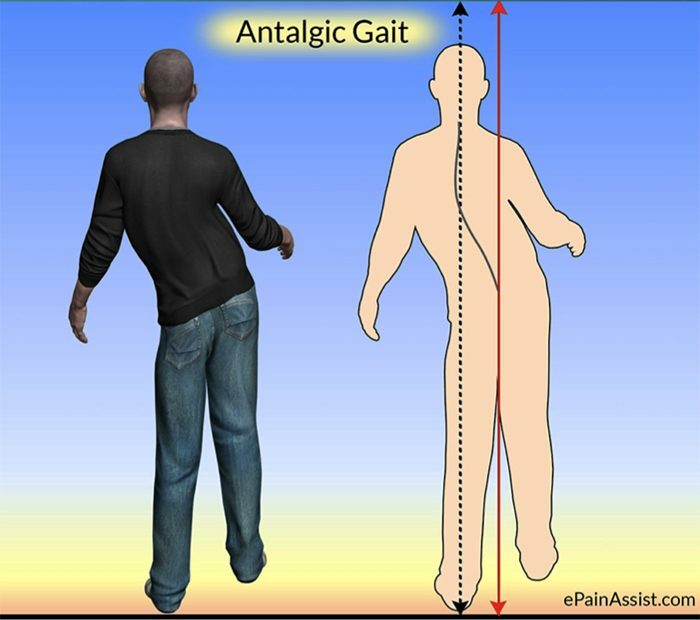 Finally, the sciatica may vary in intensity; it may be so severe that patients will be unable to ambulate and they will feel that their back is "locked".